I love this time of year, me and the boys we get a lot more creative. 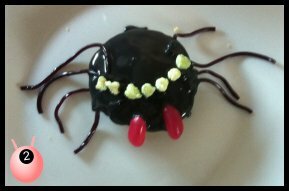 The boys really enjoyed making spiders so we extended this theme to cakes. 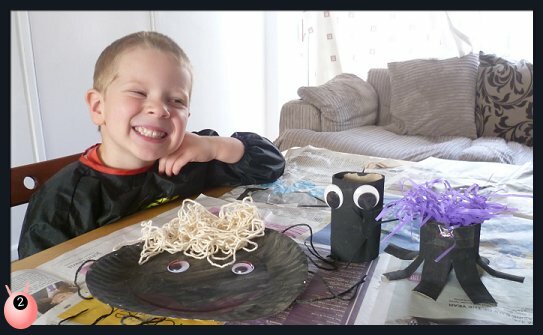 The boys love Sweet crafts – even more so as they don’t get regularly given sweets. I simply cut up some blackcurrant laces, cut jelly beans in half and got some rainbow drops. 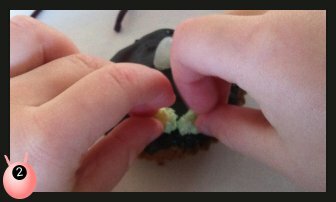 It was really good for the youngest’s fine motor skills. 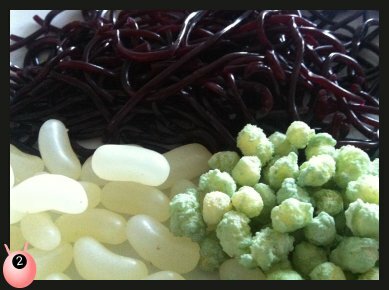 We simply mixed some black food colouring into the icing to stick the sweets on. A friendly one with a smile. 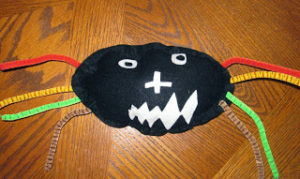 Even Daddy got involved – he thought that it should be a true representation with eight eyes – and some fangs. We have talked about making more cakes. White icing can make ghosts, orange icing and we can make pumpkins. 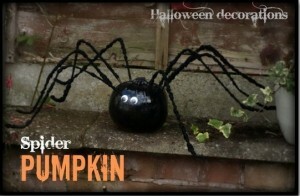 I like the smiley one 😀 The spider pumpkin is so clever too! Very rich and sweet spiders, good creations ! Wow Joy, you always have some great ideas-these are fab. I love those spider cakes! Great ideas. 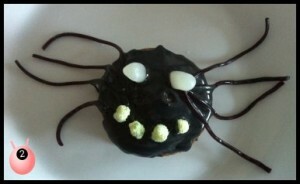 I love them spider cakes !! 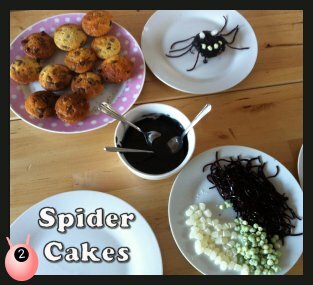 Love the cupcakes – is it wrong I want to take a bite out of that spider? these are fantastic!! 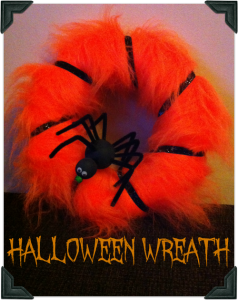 i love the fact you can do lots of different ones i might have a go at the orange pumkins! 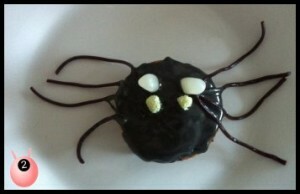 Loving the spider cup cakes. Nice “spider” ideas! Thank you for hosting. I love that you are opening the party for a whole week. Thanks so much for including me. Lots there to keep me busy in the run up to Halloween! They look absolutely brilliant! Thanks for sharing them and inspiring me! You had me at ‘cake’ ! Oh I love your spiders – so cute – they look great! 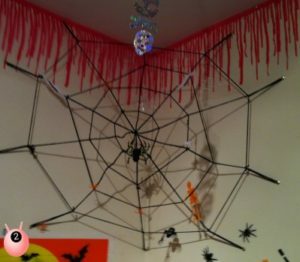 Thanks for including my spider pumpkin!